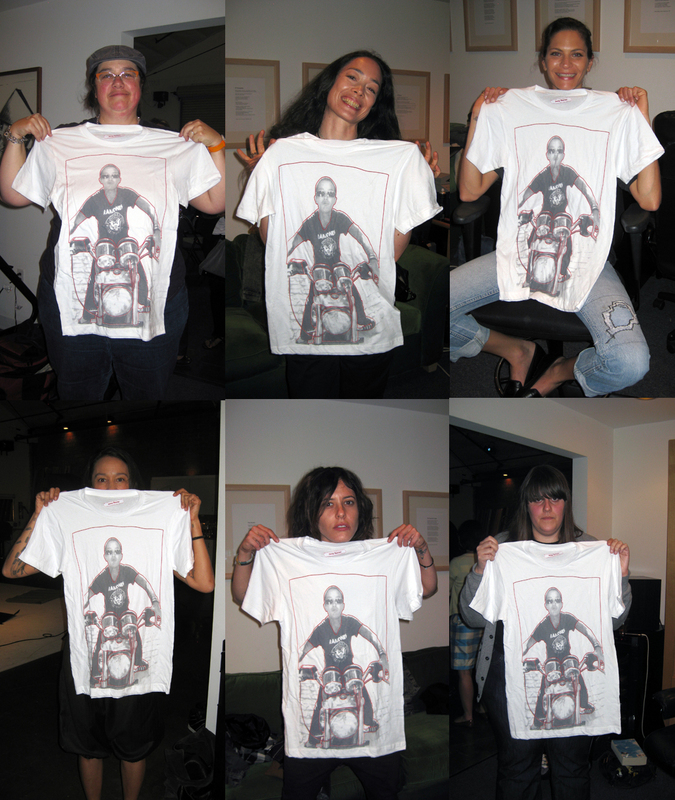 Cathy, Cecelia, Frankie, Julie, Kate and Kate w/ Cruisin for A Bruisin! 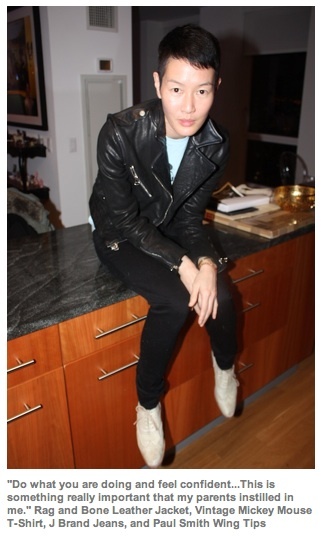 STYLE LIKE U spends some time inside Jenny Shimizu’s closet. STYLE LIKE U, Style Musings of the 21st Century. More from the archives! A fashion editorial from New York Magazine featuring Jenny wearing Calvin Klein. From the Archives: New York Magazine, special issue, “Where to Find It” – an insiders guide to New York City from April 1994. Two things. One, Jenny’s tattoo is actually a girl dressed in cut off shorts, a button-down shirt and wearing work boots. And, two, who knew that 20 years ago, tattooing was illegal? 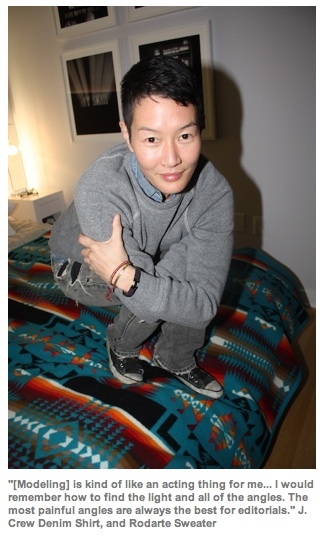 The OFFICIAL Jenny Shimizu WEBSITE has LAUNCHED! Complete with Jenny’s STORY, 5 REELS, 100+ IMAGES, never before seen WORDS (press), official place to buy MERCH and ways to CONTACT her! Pro Wedding Photographer for a Day? Q: Jenny, what’s the story behind these pictures? JS: I drove to palm springs (in my 54 ford f-1) to go visit my gf’s parents who lived in that trailer park. we brought old cameras to take pictures way out in the joshua tree national park. we ended up spending all our money and didn’t have enough to buy gas to get us home. her dad, who was kind of an old, goodhearted, spaz (me in my later years) suggested we take pictures of his friend’s wedding that day, we could make 50 dollars and that would afford us to get home, with a little spare money for food. we ended going to goodwill purchasing some used white button up shirts, so we’d look professional and then for a day we became wedding photographers. we ended up getting home and these are a few of the pictures we took as professionals. 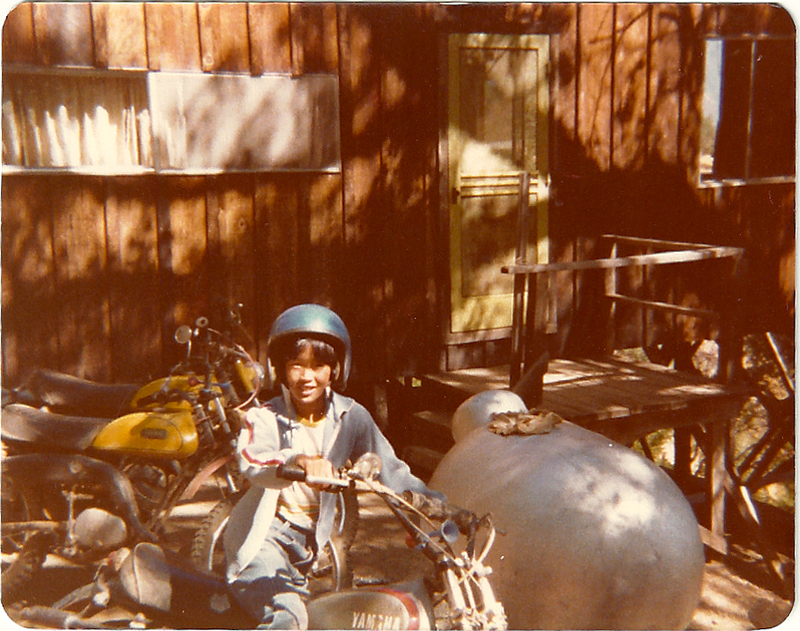 Q: What makes you a motorcycle enthusiast?